Connect with Pieces is the Puzzle Building Game where many of the pieces can be played in more than one location. Each puzzle piece has 1 of 5 symbols on it (they are cleverly pressed in so that they are only visible when looking for them). Match up more symbols for more points! Score points by finding the best possible fit with your pieces and try to block your opponent from doing the same. Featuring 2 modes of play, you can ramp up the speed or the speed or the strategy for different play styles. 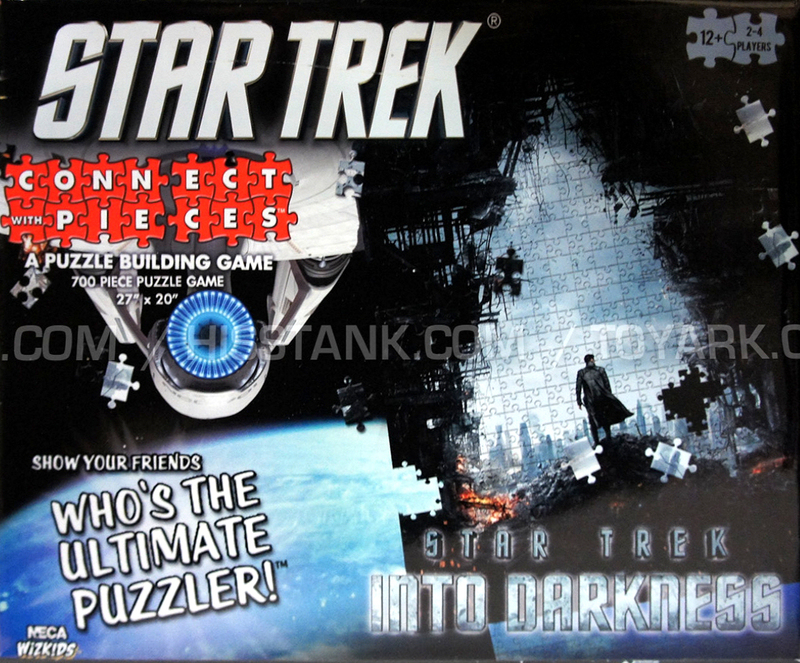 The puzzle is due out in the "spring" along side the new Tactics mini-game, which is also a nuTrek tie-in.